Add to your gift this beautiful necklace with a pendant in the shape of a heart. A wonderful and unique additional gift! 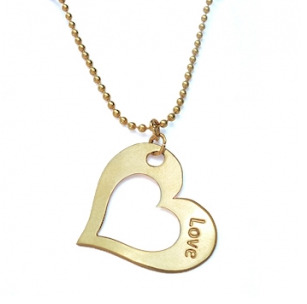 1 x Delicate Necklace LOVE. The pendant measures 2.5cm wide by 2.10cm long.